The team at ToBecomeATeacher.org reviewed, tested and documented the top education programs available in the US that were included in the National Teaching School Rankings. The 2016 National College Education Program Rankings have been released by ToBecomeATeacher.org. The ranking system utilized a proprietary and complex algorithmic tool to review every college or university in the United States that offers a Bachelor Degree program in Education. 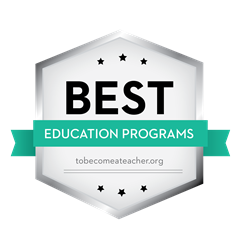 In order to help students that have aspirations of becoming a teacher in America with their educational path, ToBecomeATeacher.org highlighted the Top 50 bachelor teaching programs in the United States along with the top five schools in each state that received top marks in multiple categories. The team at ToBecomeATeacher.org reviewed, tested and documented the top education programs available in the US that were included in the National Teaching School Rankings. The Testing criteria factor multiple elements that will permit a student to determine which school is the best fit specifically for their path. The college review tool at ToBecomeATeacher.org has analyzed total expense, student to faculty ratios, graduation rates, potential earnings, return on investment and other critical categories. The top colleges and universities in the United States that comprise the Top 20 in the United States include: CUNY City College, CUNY Queens College, CUNY Hunter College, Brigham Young University-Provo, Brigham Young University-Hawaii, CUNY Brooklyn College, State University of New York at New Paltz, Dickinson State University, University of Florida, Mississippi University for Women, CUNY Lehman College, University of North Carolina at Chapel Hill, SUNY College at Cortland, Elizabeth City State University, California State University-Long Beach, Mississippi Valley State University, West Virginia University Institute of Technology, Central State University, University of South Florida-Sarasota-Manatee, and the University of North Carolina Wilmington. "Every school ToBecomeATeacher.org listed in our national review tool has committed themselves to the pursuit of excellence in the field of Education," noted Tim Charlet; the Editor of ToBecomeATeacher.org. "However, there are certain attributes that the top schools in each state possess that gives future teachers the best opportunities to succeed. Whether it's the affordability of the program, the graduation rate, teacher to student ratio or return on investment, today's college student needs to consider each element in their decision making process." "Our review algorithm discovered that several schools ranked in the top five in several categories including return on investment, graduation rate and the total expense score. We hope students and their families can utilize this data so they can make an informed decision as to which school is best suited for their individual needs and career aspirations." Alabama Top Five – University of South Alabama, Troy University, University of Alabama at Birmingham, Alabama A & M University, and University of North Alabama. Alaska Top Four – Alaska Pacific University, University of Alaska Fairbanks, University of Alaska Anchorage and University of Alaska Southeast. Florida Top Five – University of Florida, University of North Florida, Florida Agricultural and Mechanical University, Florida Atlantic University and The Baptist College of Florida. Idaho Top Five – Brigham Young University – Idaho, Lewis-Clark State College, Boise State University, University of Idaho and The College of Idaho. ToBecomeATeacher.org was built by a collaborative team of educational and career experts who focus their efforts on providing students of all levels with factual resources that will help them navigate the educational and career hurdles required to achieve their professional goals. Their website was developed with the future and existing teacher in mind – to be a hub of educational and career tips and advice from fellow teachers and career guidance experts who have traveled on this journey.